Why Opalescence? 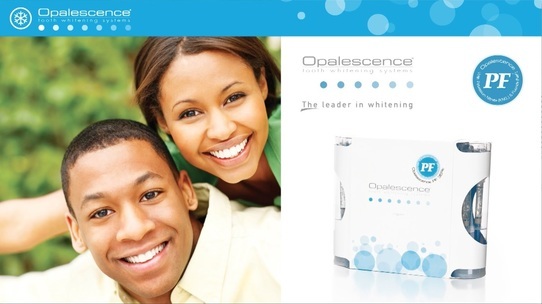 Opalescence is a professional teeth whitener that offers professional results. Safe and effective, Opalescence has been the leader in whitening for over 25 years! Why choose professional whitening instead of over-the-counter products?Teaming up with your dentist is the best way to get the whitening results you want. Your dentist knows your oral health and can make recommendations that will allow you to get the best results in a time frame that works for you. Your dentist can also help you understand how the whitening process works, monitor your progress, and treat any sensitivity issues that may arise.